Sometimes the cool-as-cucumbers teens press their buzzers and answer before host Nick Toma can complete the question. And, darn it all, their haste usually doesn’t matter. 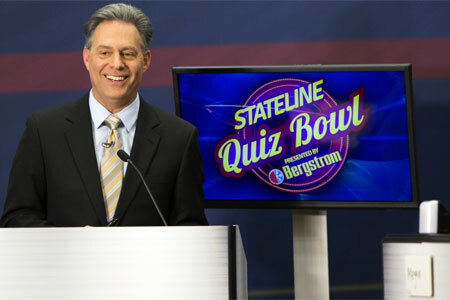 More often than not, they’re right – no matter if the topic is science, art, history, math, government, pop culture or whatever else is likely to stump most adult viewers of the Rockford area’s Stateline Quiz Bowl by Bergstrom. Toma, nightly news anchor at WTVO-Channel 17 and WQRF Fox 39, confirms the correct response, shakes his head in amused disbelief and reads the rest of the question anyway – maybe because that’s his job, maybe because it reaffirms just how smart these kids are. Lori Fanello, the regional superintendent of schools in Boone and Winnebago counties, understands how Toma must feel. 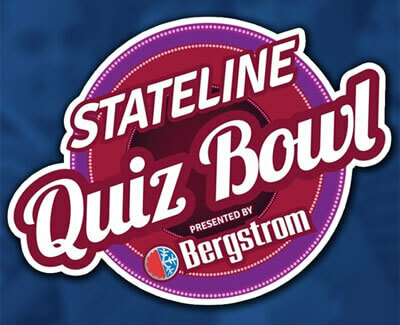 After nearly 21 weeks of questions and answers, the first season of the Stateline Quiz Bowl will air its live finale at 7 p.m. Friday, May 29, pitting Rockford Auburn High School against the winner of this weekend’s bout between Belvidere North and Oregon. To the winner goes not only bragging rights but $40,000 in NIU scholarships. “We’re all struck by the intelligence of our scholastic students at the high school level. This has gone far beyond our wildest expectations. We have such an enlightened group of students dedicated to expanding their knowledge base beyond what’s required,” says Cotton, general manager for sales and customer technical services at tournament sponsor Bergstrom. 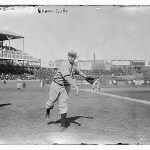 Cotton, who has attended many tapings the last few months, is often seen on TV asking the bonus question that rewards a Giordano’s pizza party to the team that answers correctly. Teams from 22 schools – public and private, small and large, close and far – have come to the NIU-Rockford auditorium to tussle with their minds. Each school can field only four players at one time, but their teammates can rotate in and out between rounds. Shawn Anderson, creative services director at WTVO/WQRF, is the man who turned a concept into a local phenomenon. Anderson began by creating the format. 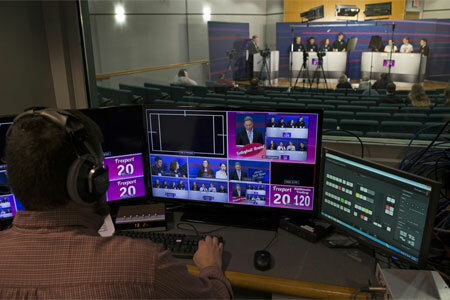 Each half-hour begins and ends with “buzz-in rounds” surrounding a “volleyball round” where the questions go back and forth and a brisk, 10-question “lightning round” for each team alone. 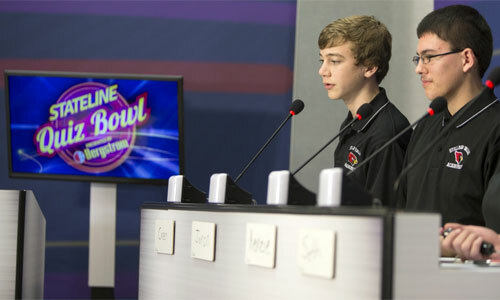 He then bought questions from National Academic Quiz Tournaments, LLC, adapting them to fit the Stateline Quiz Bowl format. 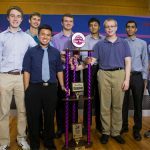 He also changed the wording to prevent mimicking questions used by the Illinois High School Association in its scholastic bowl events. During the tapings, Anderson has kept an eye on the clock to bring each match inside the 30-minute broadcast window. The level of competitiveness between – and within – the teams amazes him. “What’s surprised me the most, and what’s impressed me the most, is the wealth of knowledge that these kids have,” he says, remembering one match where a teen correctly answered a tough science question and then immediately followed that by accurately identifying classic heavy metal band Black Sabbath. NIU’s participation in the Stateline Quiz Bowl goes far beyond awarding scholarships, she adds. That wasn’t the goal, Cotton says. 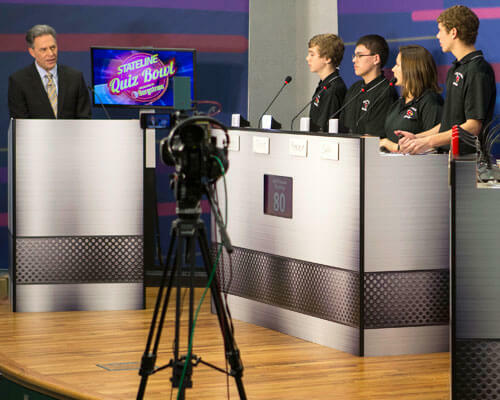 “We didn’t take on the challenge of sponsoring the Quiz Bowl for the purpose of general acceptance in Rockford as much as we did for the appreciation of the schools,” he says. For the TV station, the community-boosting endeavor has lived up to lofty expectations. Anderson attributes the show’s popularity to its true mission, though. Once a champion is crowned on live TV – host Toma is “pretty fired up” for the nerves and thrills that broadcast will bring, Anderson says – discussions will begin about the future. Count Fanello among the fans ready for more. Given any community’s love for and attention to high school sports, the regional superintendent has appreciated this spotlight on academics. She draws a direct line between a sports team’s practice for a game to the reading, studying and mastery of knowledge required of Quiz Bowl squads.